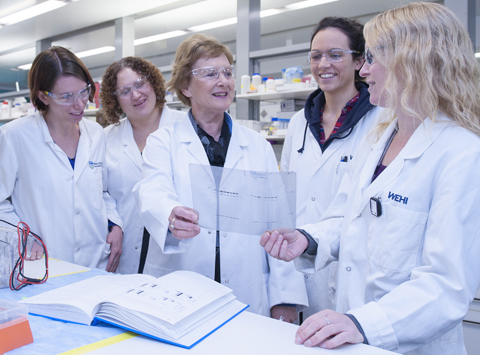 Professor Suzanne Cory is one of Australia’s most distinguished molecular biologists. As director of the Institute she energetically promoted science policy and research at both the national and international level. Under Professor Cory’s leadership, the Institute focused on four big global medical challenges: cancer, immunity, autoimmunity and infectious diseases. New disciplines were embraced, including bioinformatics, structural biology, medicinal chemistry, genomics and large-scale targeted mutagenesis, enabling a truly multidisciplinary approach to tackling human disease. The Institute became a world leader in apoptosis research, following the discovery in 1988 by Professor David Vaux with Professor Cory and Professor Jerry Adams that the gene causing human follicular lymphoma acts by blocking the central cell death pathway. 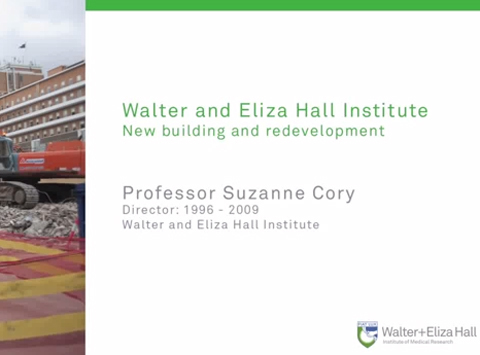 Like her predecessor, Sir Gustav Nossal, Professor Cory was faced with an Institute rapidly outgrowing its premises. She was instrumental in securing funding and key stakeholder support for the $185 million redevelopment of the Parkville building. Completed in 2012, the redeveloped building doubled the Institute’s research capacity and provided world-class laboratories to support and inspire our staff. Rapidly translating new discoveries into improved treatments and preventative strategies for patients continued to be a core focus under Cory. The new Parkville building was designed to include a dedicated Clinical Translation Centre, strengthening links with clinicians in The Royal Melbourne Hospital and elsewhere. The Institute also established the Biotechnology Centre within the research and development park at La Trobe University. The Bundoora campus provides facilities for drug discovery and development, to enhance our capacity for moving basic research discoveries further along the R&D pipeline. To generate enthusiasm for science among school students, and to foster excellence in science education in schools, Cory initiated a partnership to establish the Gene Technology Access Centre (GTAC). GTAC provides innovative laboratory programs in cell and molecular biology for more than 6000 school students and 800 science teachers every year. 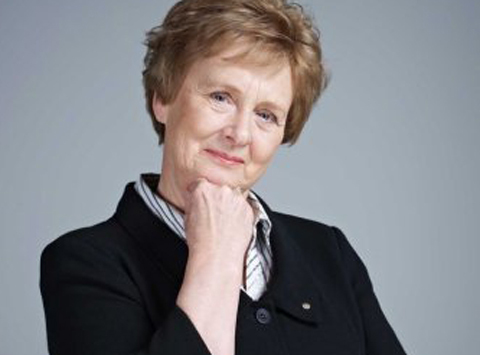 After her term as director finished, Professor Cory became President of the Australian Academy of Science. She continues her research at the Institute as an honorary distinguished research fellow in the Molecular Genetics of Cancer division. Exploring what Australian science has given the nation and the world, and how it might help set to rights some of our biggest problems.